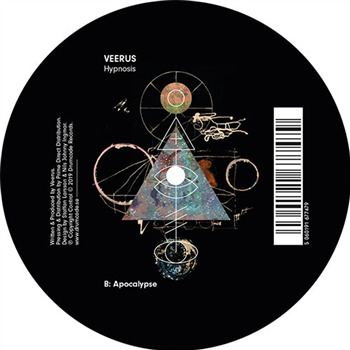 After over 20 years of DJing, Veerus continues to find ways to elevate his techno craft. His sound which is a cross between house and techno has destroyed dance floors all over the world. His songs have seen continuous support from heavy hitters like Carl Cox, Sasha, and Adam Beyer. And now, Veerus has released two addictive tracks worthy to send listeners to techno hell. Out now are ‘Hypnosis’ and ‘Apocalypse’ which are hypnotic and chaotic as they sound. Both tracks mark his debut on Drumcode which is another milestone in his prolific career. ‘Hypnosis’ has been receiving a lot of attention ever since Adam Beyer dropped it in his ADE Awakenings set. It features a blistering Veerus build, 303 acid warbles, and menacing synth work. ‘Apocalypse’ starts off with a pulsating cut and a collection of snazzy drums. An eerie vibe quickly fills the tune as Veerus brings in a stabbing melody and supercharged baselines. Check out both tunes below and enjoy!